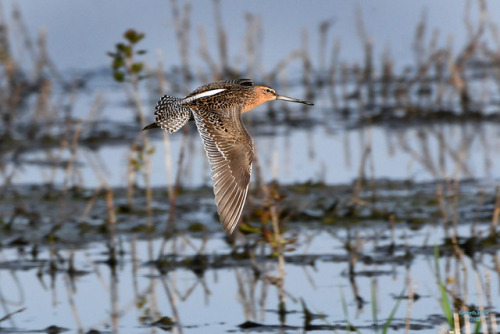 The Short-billed Dowitcher (Limnodromus griseus) is a strong and rapid flyer. They primarily nest in northern Canada. It wasn’t until the early 1900s that their nests and eggs were discovered. Tags: carp without cars, birds, santa barbara county year list, sbdo. This entry was posted on Tuesday, September 11th, 2018 at 10:01 pm	and is filed under Tumblr reblogs. You can follow any responses to this entry through the RSS 2.0 feed. You can leave a response, or trackback from your own site.